It's finally here!!! 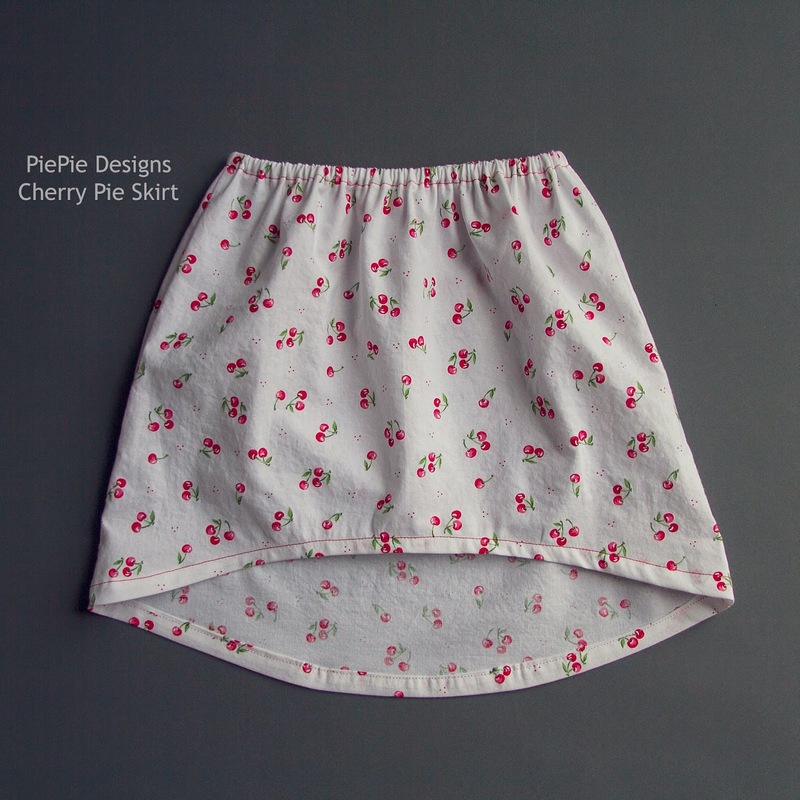 I'm so thrilled to be releasing a new pattern: The Cherry Pie Skirt! You can purchase the pattern on Craftsy for $4! 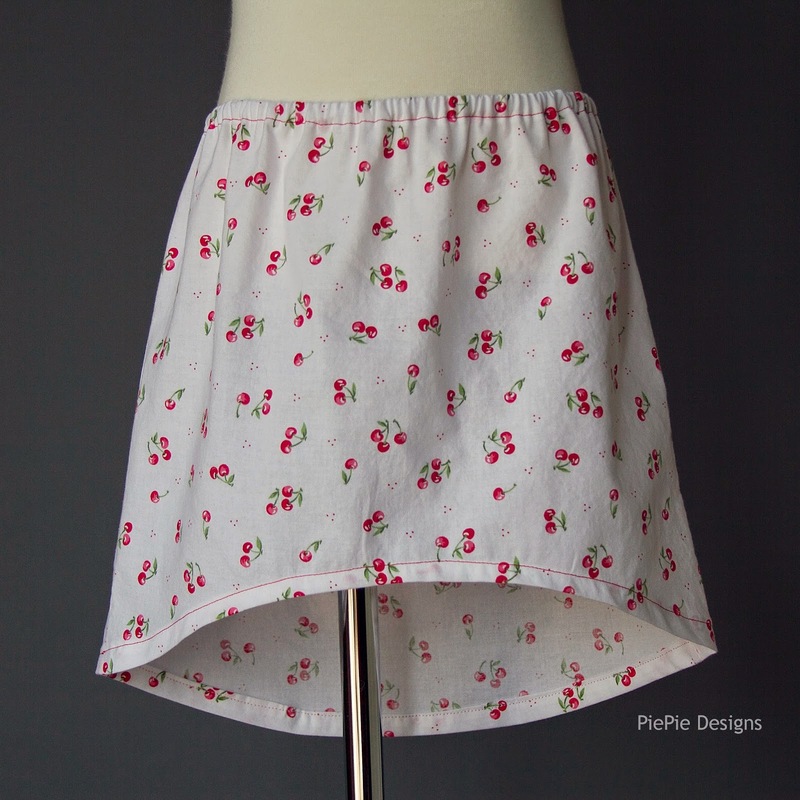 The PiePie Designs Cherry Pie Skirt is a simple gathered skirt with a hi-low hem. 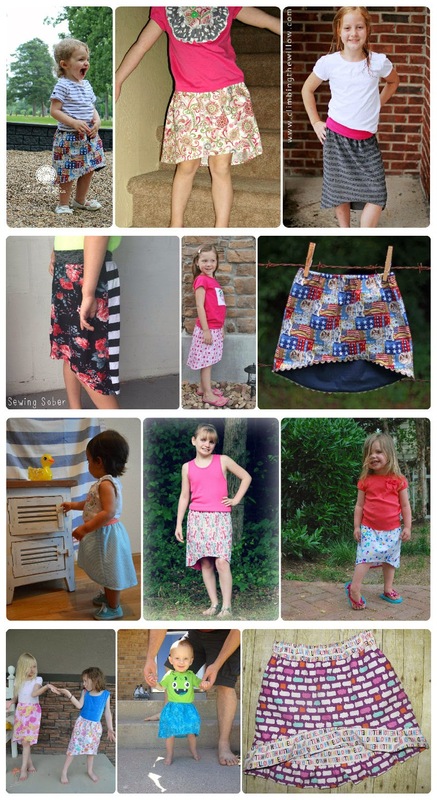 The pattern was inspired by a personal need to sew up some very fast, yet cute and unique skirts for my 4-year-old daughter. 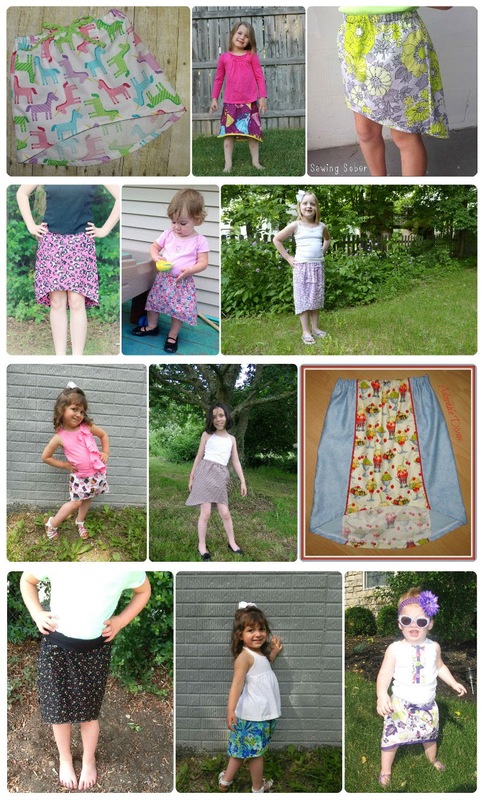 It's incredibly simple to make and you will find that it sews up very quickly. 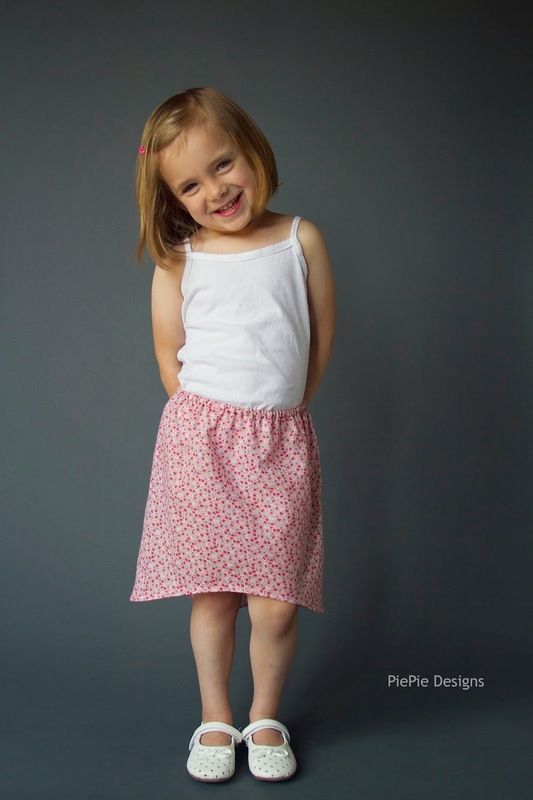 This skirt will be a perfect addition to any girl’s summer wardrobe. It's also a great pattern for craft shows and boutique sales because it is so fast to make. 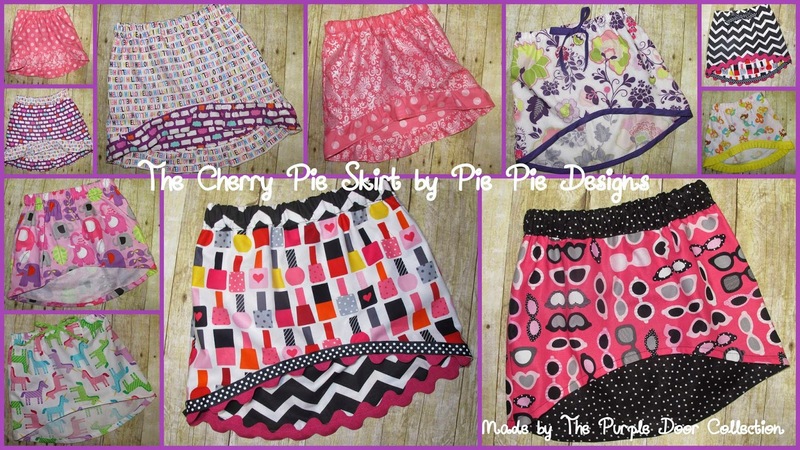 The Cherry Pie Skirt Pattern features 10 different pattern options including: Basic Cherry Pie Skirt, Reversible Cherry Pie Skirt, Bias Tape Hem Cherry Pie Skirt and many more! The pattern went through a thorough round of testing before release. Here are some photos from the amazing women that helped out. 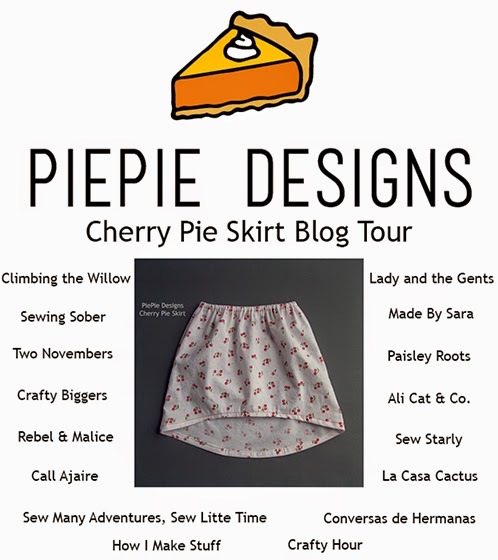 On June 18th, I'll be kicking off the Cherry Pie Skirt Blog Tour with some fellow bloggers and I'm so thrilled to see what they've all made with the pattern.